If you were a fan of Geekerella, you’re going to love Ashley Poston’s latest contemporary fairy tale: The Princess and the Fangirl. Imogen Lovelace is a teenager with one mission: to save her favorite Starfield character, Princess Amara. She’s got the ExcelsiCon map memorized, the #SaveAmara hashtag trending, and so much merch to give away. But there’s one problem: Jessica Stone, the actress playing the role, wants nothing to do with the campaign. In fact, she’d rather her character remain dead. (Yikes!) This modern twist on The Prince and the Pauper got us thinking about our favorite swaps in pop culture -- and the hijinks that have ensued. In both iterations of The Parent Trap -- the 1961 Hayley Mills classic and the 1998 Lindsay Lohan remake -- a pair of summer camp rivals discover that they’re not just eerily similar, they’re also twins separated at birth. These girls (Susan and Sharon in the 1961 version, Hallie and Annie in the 1998 version) plot to reunite their parents so that they can all live happily ever after as one big family. But the plan is easier said than done. And requires trading houses, families, and habits -- nail biting in one version, adopting a questionable British accent in another. In William Shakespeare’s Twelfth Night, fraternal twins Viola and Sebastian are separated in a shipwreck. In order to navigate the early 1600s alone, Viola disguises herself as a man, adopting the dress and general mannerisms of her brother. (If this sounds vaguely like the 2006 Amanda Bynes vehicle She’s The Man, that’s because it is. It totally and completely is.) Viola falls in love with Duke Orsino. Countess Olivia falls in love with Viola thinking she’s a young man. 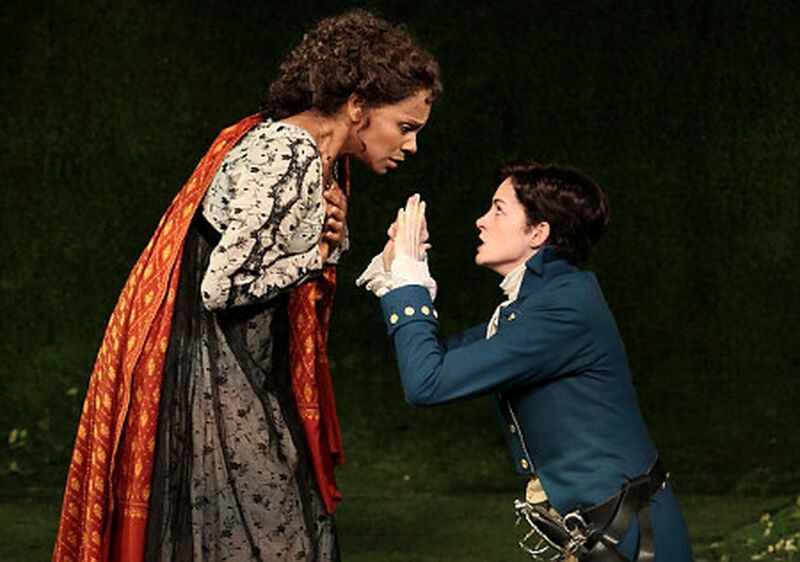 And we’re longing for a contemporary and wonderfully queer Netflix adaptation of this play because it would be wonderful. Come for the bisexual subtext, stay for Malvolio’s ridiculous socks. 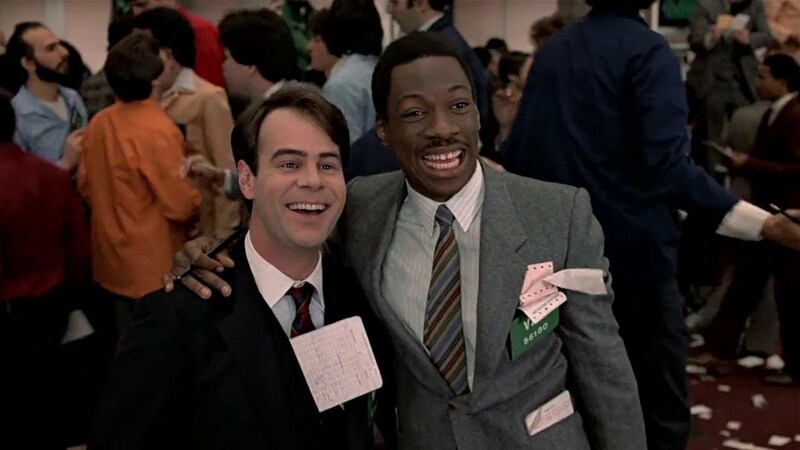 When a commodities broker (Dan Aykroyd) and a homeless man (Eddie Murphy) unwillingly become part of an elaborate bet that two (awful) millionaires make, the two end up, as the title suggests, Trading Places. This incredibly dated and heavily flawed movie treats each of the characters like pawns in a 1% social experiment -- one where no one comes out looking like a winner. So while it’s been compared to Mark Twain’s original novel, it’s not a very faithful adaptation of The Prince and the Pauper. Nevertheless, this 1983 film has become a cult classic, and perhaps a cautionary tale about power. In the 1976 movie Freaky Friday – and the 1995 straight-to-television remake and the 2003 Lindsay Lohan/Jamie Lee Curtis vehicle and the 2017 musical! – a mother and daughter swap bodies and lives for one (freaky) Friday the thirteenth. It’s a corny premise based on the completely false idea that mothers never get along with their teenage daughters and that alone should have us itching to give the studios a piece of our mind. But we’ve loved this narrative every single time. A mother has to suddenly go back to high school and deal with Algebra and Biology and sweaty teenage boys? A teenager is forced to see just how hard her mom works for everything they have? Yes, please. It’s Big with a twist: we get to see how both sides play out. (Only it’s not Big. Big is Freaky Friday with men.) If you want to dive into some Chad Michael Murray nostalgia, the 2003 remake is now streaming on Hulu. You’re welcome.